-What kind of Earthquake Are We Going to Have in California Anyway? A small earthquake shook Southern California 24 years ago and a new move of God surrounding the gift of prophesy and the ministry of the prophetic came forth. I remember it well since I was at that conference in Anaheim when it all started and I have the tapes and the t-shirt to show for it so to speak. John Wimber was scheduled to speak the first night and he referred to the earthquake as introducing and confirming the new speaker. Then he proceeded to introduce Paul Cain to the 5,000 or so folks attending the conference that was supposed to be about ‘Spiritual Warfare’ but ended up being about the gift of prophecy, the ministry of prophets, and the modern church instead. A shaking followed in the Vineyard Movement. It doesn’t seem possible but 24 years have come and gone with some incredible highs along with lows and lessons learned the hard way. It was the beginning of what some call ‘The Prophetic Movement’ but no one involved calls it that. It was introduced out here following a small quake but how it has shaken the American Church since then has been anything but small. 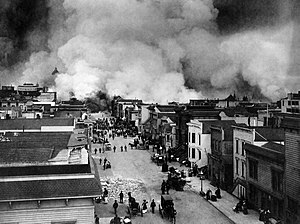 Now a major earthquake- ‘The Big One’ is long over due in Southern California and many Christians in the last five years or so have had dreams and visions of it. Most believe that it is just a matter of time -God’s timing. But remember, sometimes what God is doing in the natural reflects something that going on in the spiritual realm just like the small quake did 24 years ago. 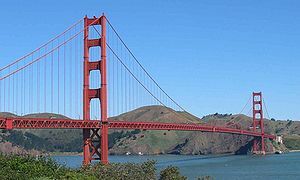 Along with the dreams of doom many Christians out here and elsewhere have also seen visions of a new revival or ‘Jesus Movement’ that will shake Southern California once again. This time for the Father, the Son, and the Holy Spirit. A major Kingdom event that could end up shaking the whole church. So what kind of quake is is going to be? Natural or Spiritual or maybe both? Actually at VCC Laguna Niguel we are preparing for both. Across the street from our church is the huge federal building parking lot which is designated as a site for emergency services and medical care in the event of a major catastrophe in South Orange County, California. Meanwhile, we have a 24,000 square-foot warehouse filled with food and clothing and 2 years ago we were able to send a cargo container with 100,000 bottles of water and other emergency supplies to Japan when the big one along with the tsunami that followed hit there. But more indicative of what I am really talking about is the mini revival that seems to be going on in that same warehouse. Hundreds have come to Christ in the last year and major miracles and healings continue to happen nearly every time the place is open to the public offering food and clothing to those in need. The expectation is that it is merely a foretaste of what God wants to do Spiritually all across Orange County and Southern California. Our family visited the 9/11 Memorial in NY City 10 days ago and found it to be an experience that is nearly impossible to put into words.The site is huge and nearly everywhere you look there is new construction going on. We quietly filed into the memorial grounds with thousands of others but it was the sounds of construction and not of people that were plainly heard the day we were there. Today it is a place of quite reflection. While that day we remembered what happened on 9/11/01 our greatest thoughts were on the future as we viewed the new Freedom Tower rising up to dominant a new NY City skyline along with two other World Trade towers rising also from the ashes of the past. 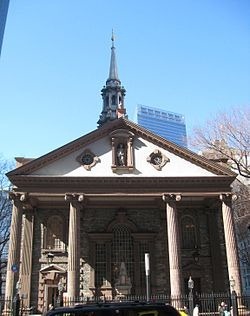 Personally, the greatest experience for me was visiting St. Paul’s Chapel (Built in 1766- picture above) which was right across the street from the memorial and had been a staging and resting area for the rescue people following 9/11/01. The history of the chapel is incredible. It was the church that George Washington worshipped in and following his 1st inauguration at Federal Hall in NYC 1789, Washington and the entire new government of the United States including the new Congressmen and Senators walked to St. Paul’s Chapel and prayed together for the future of the new constitutional republic of America that began that day. 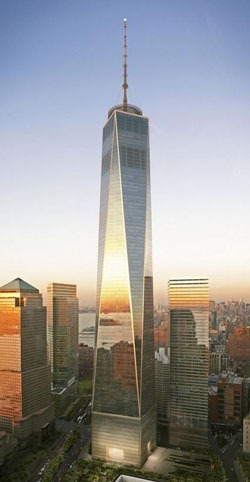 At that time, all of the lands on which the World Trade Center was later built upon were part of the church property. Coming out of the experience of actually being there and reading about the history of the site I am now convinced that the attack was not just one of terror and politics but was also a spiritual attack on the religious foundations of our nation. The rebuilding at the site shows our resolve but the real future of America will be defined by our spiritual responses and condition. I have heard many Christians refer to the future and proclaim that they have ‘read the back of the book’ so they are not afraid because God is in control. In response I wonder if they have really studied it at all with all of the upheaval portrayed in the Book of Revelation. I have read the last chapter also but find myself naturally afraid at times considering the chaos we seem to be facing daily; coming at us economically, politically, and in natural cataclysmic events. A lot of Christians have been seeking ‘signs and wonders’ but some of the natural signs we have been getting lately are nothing like what we have been praying for. If we are in the beginning of ‘end times’ like some seem to think, then it sure isn’t going to get any better any time soon -only worse. At least until the very end. It reminds me of a famous quote from the first Star Wars movie when Luke Skywalker says that he is not afraid and Yoda responds: “You will be.” That scene always send chills up my spine. We may be entering times that the Bible says will try our very souls and cause hearts to fail. How are we Christians to respond to the fear and the chaos all around us? We will not be able to ‘faith’ it all away and change reality like some of the ‘health and wealth’ folks seem to teach. Particularly if God is in the chaos bringing about his own ‘end time’ purposes. This is a good time to remember and hold on to all of the promises that God has made to believers over the years. When I really get down sometimes I turn to an old paper back book that I picked up during the ‘Jesus people’ move of the 70’s. It’s got one page after another of encouraging promises that God and his Son Jesus have made to believers through the generations including those who find themselves in the very final moments of history. Jeremiah spoke these words of encouragement to a people who were in exile and had lost everything, their jobs, their homes, their church (Temple), and their nation. We don’t have it quite that bad yet. While the current events are disconcerting, I believe that the Lord has plans for His people to rise up and still bring the Gospel to every nation and people …then the end shall come. Here’s some good council from James Goll on how we should be responding to all of the different situations and problems facing our nation. He points out that the American church has not really turned to God in a disparate way, that the circumstances may call for more radical responses on our part. Personally looking over the history of our land, there has never been a time when so many major natural disasters have stricken this country in so short a period of time. Then we are in the midst of 2 1/2 wars while our economy is at its worst point in last 70 years or an entire generation. We are preparing for the worse both naturally and economically out here in California. Too many words have come our way to ignore the possibilities of major trouble. However we are also expecting and hoping for revival in the midst of it all. There have been a lot of prophetic words lately about California suffering a major earthquake. Meanwhile the earthquake scientists at Caltech are warning us that a major quake is coming our way sometime within the next 5-10 years so all Californians need to be prepared. In the news, around here there is concern about how the state will be able to pay its bills and avoid bankruptcy. Unemployment is as high as it has ever been in the Golden State. Remember that during the Great Depression of the 30’s folks came out west to California to find work. Now jobless people here are going the other way heading for Arizona and Texas. Last month 75 major companies left California for different less taxing states. Meanwhile among my friends and family, many have had dreams and visions of major catastrophes coming our way. One of my sons who is one of the most accurate prophetic folks that I know even had a very real and vivid vision of a flash of light and a mushroom cloud appearing on the horizon as we were in the car together heading down the 91 freeway toward LA. If you look at what happen in Missouri this week and the tornados that sweep across other areas in the last couple of months it is easy to see that we are living in different and chaotic times. I can’t remember a period in my lifetime when so many natural disasters have occurred one right after another. Everything that can be shaken will be…what remains will be solid. It is not a time to run and leave, but a time to gather together and fight, a time to prepare for harvest. Isaiah 42:13 was also cited (see above).